Junior Achievement Upstate South Carolina hosted its first Junior Executive Challenge, connecting students with upstate businesses. Wellness By Design - How Stem Cells Can Help You! We have Dr. Connie Casebolt Carver from Wellness By Design to tell us how Wellness By Design offers Stem Cell Therapy and how Stem Cells trigger the healing process making it an effective therapy for ANYTHING to do with pain, aging, degeneration. It is Move It Monday and we have Element Strength & Fitness. They are more than just a gym and it is not your stereotypical check the box workout. At Element Strength & Fitness they truly connect with clients through personal training, group fitness classes and online programs, which yields consistent and lasting results. Pushing the limits can be normal as children develop, but a pervasive pattern of breaking rules and refusing to comply with authority is not within the norm and should be addressed by parents Dr. Martha Durham is here with me this morning to talk about oppositional defiant disorder. He is trying to become the man of the year. The Leukemia & Lymphoma Society Presents Man & Woman of the Year and the campaign is underway. We have one the candidates and he is going to tell us how we can submit out votes! The Department of Visual Arts at Greenville Technical College's Benson Campus recently held its 29th Annual Upstate High School Art Exhibit. 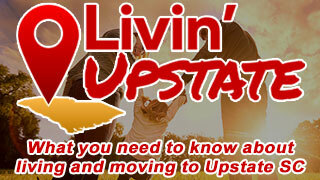 Artists from 21 Upstate high schools submitted 174 works in 12 categories. This morning, we have Shane Howell and Bradyn Pierce here to tell us all about it. Central Railroad Festival is this Saturday. It is Furry Friend Friday and we have Carolina Poodle Rescue with Oliver looking for a forever home. Are you wanting to sell your home or are you ready to buy a home? Is now the time? Dan Hamilton from Hamilton and Company at Keller Williams is here with us this morning with a market update. Earth Day is next week and this morning we want to tell you about products that you can get right here in the Upstate that can help the earth. Tina with Magnolia Scents by Design is here with us and she is going to show us how their products are eco friendly. Are you looking or a service to attend on easter? How about Springwell Church. Calling all amateur singer-songwriters in the Upstate. You could be the next champion of the 1 Voice Hub City Annual competition. Jamie Hughes from Safe Homes is here with us this morning to tell us about this unique competition. We have Dr Hirshorn from New Life Medical Centers to talk about Neuropathy his upcoming seminars. Easter is this weekend and if you haven't planned your holiday spread yet, you better hop to it! Fortunately, food and lifestyle expert, Rosalynn Daniels is here to help with some easy tips and recipe ideas. 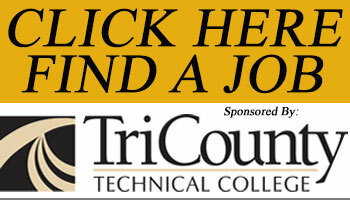 Looking for a job? Cooper Standard is hiring and we have Warren Snead here with us to tell us what thay are looking for. From health care decisions to important talks with your family, we are keeping it real here on Your Carolina with our new segment where we help you age in style. Jamie Guay is the Alzheimers of Greenville Program Director and with her help we will expand your view of aging. This month we are talking about what important health care decisions you need to be talking about with your family. Easy Easter and Spring DIY Ideas! DIY & lifestyle expert Julie Loven, the effortless girl, is here to talk about simple and affordable easter ideas for all ages. It's almost time to hit the lake and what better way to kick off the season than in your brand new boat. Marine Max Hall Marine in Greenville can help you choose the best boat for you. We have Thomas Tallon here to tell us all about the boats they have in stock. David Maynard from Gray Court made a significant transformation and now competes in Spartan Races. He once weighed over 600 pounds. He has now lost 100lbs training and compteting in Spartan Races. He continues to set goals and train for more Spartan Races starting up in October. We have David Maynard here today to tell us about his journey. A new way for you ladies to apply your make up! This morning in our Work it Wednesday segment, we are telling you about the Makeup Bullet. Alores Norris from the House of Flawless and the creator of the Make Up Bullet, Eva Jane, are here to tell us all about it. Recent retirement surveys reveal the number one concern for retirees is running out of money! Joining us every Wednesday morning for your Retirement Coffee Talk is George Fossing, of Northstar Financial and Retirement Planning. It is Fashion Trend Tuesday and we are talking men's fashion at great prices. We have Terry Norman and Chuck Duckett from D&N Menswear, Greenville's newest upscale menswear store. Greenville County Soil and Water - What's Up With Your Soil? Did the recent heavy rain wreak havoc in your yard? Lynn and Shelby are here from Greenville Soil and Water to tell us how to slow the water down and let soil work its magic. If your idea of international food is Italian or Mexican be sure and watch for some of the new products and flavors available at Ingles, Thai, Jamaican, Indian and more! The Dorman High School Theatre has been hard at work on their new production of Mary Poppins!